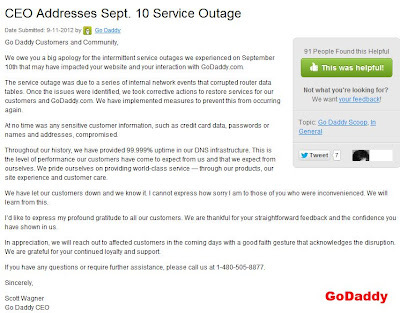 GoDaddy, which is the world's largest domain name register and web hosting provider, as well as the world's largest secure sites hosting provider, were experienced intermittent service outages a day ago. The company’s services, which were down around 10 a.m PDT, had been fully restored by 4 p.m PDT. As claimed by GoDaddy in the company’s CEO statement from Scott Wagner, the services’ outage was not caused by any external sources, including hacking activities or Denial-of-Service-Attack (DDoS). In fact, the service outage was caused by a series of internal network events that corrupted the company’s router data tables. 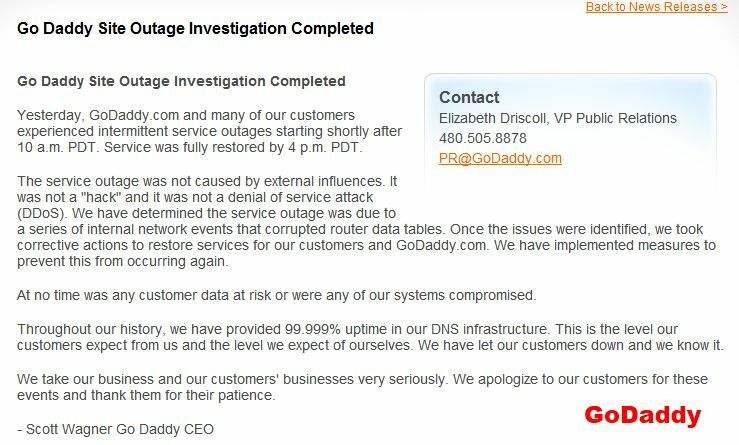 As stated in the CEO statement, corrective actions had been taken once the issues were identified, to restore the affected services for GoDaddy company’s website ( GoDaddy.com ) and also their customers’ websites. Also, the company had implemented measures to prevent the same scenario to be happening again. Contrarily to the GoDaddy CEO Statement, a Twitter account named Anonymous Own3r continually to claim the attacks on GoDaddy.com, as well as their services by a tweet: “Go daddy souce code and database leaked by @AnonymousOwn3r pastebin.com/WMb4Qg7H". 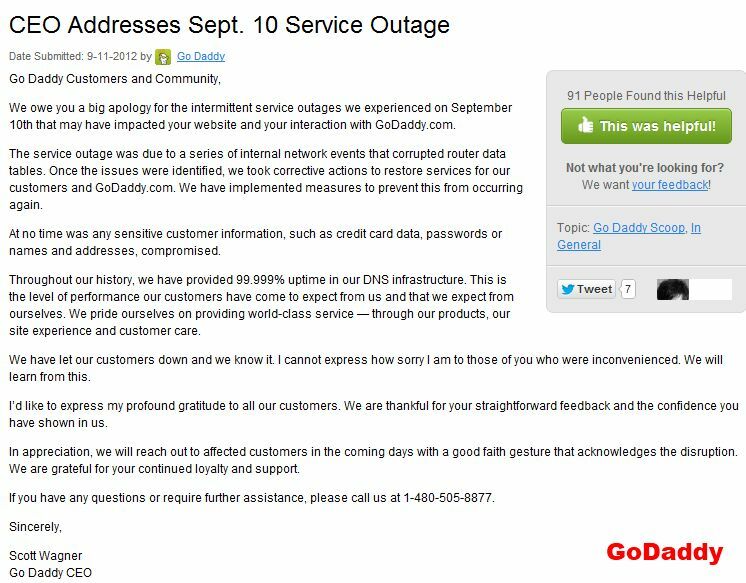 Based on the status of the GoDaddy's update, we assumed that the company does not acknowledge the hacking attacks' claim. © 2012 Siteformation.xelacity.com All Rights Reserved. | XELA Siteformation™ | XELA City™ 杰赉™大都城 |. Ethereal theme. Powered by Blogger.